For a taste of what we have been up to at Innserve, check out our latest news. A few of the team from Innserve attended the London Coffee Festival at London’s Old Truman Brewery on 7 April. There was a real vibrancy around the place and the rate of progression in equipment technology and brewing methods shows no sign in letting up. It’s no doubt a really exciting time to be in the coffee market, with Allegra predicting continued growth in coffee outlets over the coming years. With our existing service coverage of licensed premises, it will be especially interesting to see how pubs, bars, hotels and restaurants continue to evolve their coffee offerings in order to meet ever more demanding consumer expectations. If outlets can get the offer right, there would seem to be great potential to create even more vibrant places for people to meet and relax throughout the day. An interesting and, crucially, committed coffee service could be a key pillar to this approach. Equally, as pubs have moved to offer coffee and quality food from earlier in the day, coffee shops are beginning to offer alcohol and expanded food offerings, while staying open for longer. This demonstrates how competitive the market is likely to remain in the coming years. However, trying to be all things to all people is unlikely to be a successful strategy - operators will need to carefully judge how they can maintain a distinctive and coherent offer across day-parts. For our part, Innserve is excited about the increasing quality being offered to consumers and also the massive benefits Innserve can offer in this environment. Our investment in coffee servicing means we are well placed to leverage our coverage, scale and experience to help operators achieve efficiencies. Wow! What a final between New Zealand and Australia – a fitting way to finish what has been a fantastic exhibition of world class sport over the last six weeks. Japan’s early win over South Africa seemed to ignite an incredible buzz and the number of competitive matches in the tournament was far higher than we can remember in any previous World Cup. Therefore, while it was a disappointing Rugby World Cup for the Home Nations, millions of fans in and around stadia across England and Wales had fantastic experiences. Supporting our partners at Heineken, we at Innserve helped ensure that these spectators enjoyed a high quality pint (or two) while they watched the games. 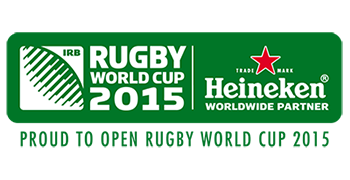 We helped Heineken to install over 7,000 pouring taps at 13 stadia, which had a combined capacity of 604,000 fans. Over 6 weeks, millions of pints have been consumed. Once again we have demonstrated our nationwide expertise, ability to manage complex projects and close partnering with our customers in order to deliver successful and high-profile outcomes. We are hugely proud of all our team who have done such an amazing job. This campaign is supported by some of the UK’s largest brewers under the umbrella of Britain’s Beer Alliance and we at Innserve think it is a great way to highlight the quality and diversity that beer has to offer. One of the best features is instant beer recommendation via Twitter. Therefore, the next time you have picked your meal off the menu, simply enter in your food choice and within seconds a beer recommendation will be sent back to you. We think that the UK’s hospitality industry is ideally placed to take advantage of this campaign since outlets provide consumers with easy access to a range of top beers. Of course, even with the perfect choice of beer, it still needs to be served to a great standard and we are passionate about the role Innserve plays in delivering a truly outstanding product to consumers. Whether it is making sure that a recommended beer is up and running, served to the ideal temperature and specification, or a whole range of other factors, we are proud of our responsiveness and attention to detail that support a great consumer experience. If you are interested in how Innserve can help deliver great beer, improve the quality of your technical service offering, all while reducing cost base, please get in touch. Innserve recently sponsored the Pub Retail Summit 2014, which is one of the industry’s main forums for discussion of the latest news and issues in the managed pub sector. Along with the opportunity to have valuable conversations with other attendees, Innserve’s sponsorship gave prominence to our brand and a great platform for us to highlight all the great things we do. At the Landmark London, we also heard some great talks from players across the industry, including the keynote talk from Ralph Findlay, Marston’s Chief Executive. Overall, the day highlighted an exciting diversity between operators, offerings and locations. Whilst discussing challenges to be overcome, there was a great sense of optimism around the relevance and quality of what the pub sector is now offering. These talks provided invaluable insight that helps Innserve to continue to evolve its offering and serve the needs of the industry, whether it be staff training, managing the lifetime cost of assets, maximising tap uptime, or a range of other services. Innserve install and maintain drinks dispensing and refrigeration equipment for major drinks companies in pubs, clubs, airports and major event venues. A fleet of 350 light commercial vehicles are managed by a team of two; Simon Binks and Rachael Clarkson, award winner in Fleetworld 2014. To optimise fleet management, in terms of delivering service levels demanded by customers and minimising costs. A Service Level Agreement (SLA) with Lex Autolease, aligned with the SLAs between Innserve and their customers. An example of which is a guaranteed 2-hour vehicle replacement agreement, 24/7, 365 days a year. Maintenance of fully-customised and stocked reserve vehicles to ensure continuity of service to customers. Servicing protocols, which encourage engineers to book vehicles for service overnight, or on rest-days. Direct communication between driver and Lex Autolease, to minimise need for management intervention. Development of an Innserve Drivers’ Quick Guide, allowing drivers to deal with most issues relating to their vehicle. Development of collateral to help drivers in an emergency, or after an accident. Automated, real-time Management Information, using telematics, electronic parking agreements and Lex Autolease data. Weekly financial and uptime reports. There is no one solution for Business Critical fleets such as ours. It is a matter of constant re-examination and refinement. My advice to anyone in a business like ours, is work as closely as possible with your supplier – make it a real partnership, where your needs and your rewards are closely aligned. WINTER is coming and with it some of the busiest days of the year for the trade. It pays for operators to make sure they are fully prepared ahead of the festive season, and that means ensuring the cellar and equipment in it are in the best possible shape. Steve Lakin, of drinks dispense service company Innserve, underlined the “vital” role good cellar management plays in running a successful pub and suggested “quieter times” between summer and festive trade provide an opportunity to “give the cellar an ‘autumn clean’, ready for the busier Christmas period and to set up a new routine which may have been neglected during the summer time”. Beer is a foodstuff and should be treated as such – all staff with access to the cellar should be trained. “The autumn is also the perfect time to train staff to ensure that they are fully confident in working the bar over the festive season,” said Lakin. Richard Cooper, franchised owner of line cleaning firm Clear Brew, Glasgow North, agreed that cellar management practices “should always be a priority,” but suggested a “quiet time like autumn could be the time for a full review of the cellar”. During this time, publicans might do well to seek advice from cellar management firms and beer suppliers, he said. “Speak to your suppliers and other professionals as to how you can improve things – every pub is different and an external pair of eyes can often spot areas for improvement that those more involved will take for granted,” he said. Keep an eye out on the roads for our latest Ford vans, which are adorned with our brand new logo. Equipped with the latest storage, environmental and safety features, our Transit vans will get our technicians and their equipment to jobs safely, on time, and all achieved with a low carbon footprint. In case you missed our advert in the first September edition of the Publican’s Morning Advertiser, we have included a copy here. It showcases the varied ways in which Innserve is able to help customers. For more information, please take a look around our website or contact us. On 21st June, Kasabian performed in front of 50,000 people at London’s Victoria Park and Innserve were one of the supporting acts, ensuring that the 480 pouring taps on site were installed on time and were operating effectively throughout the event. There were 8 technicans on-site during the event to ensure that the supply to each of the 4 bars was maintained at a high quality, keeping tabs on the 200 remote coolers and 1 mile of Python that had been installed over the previous five days by a team of 12 technicians. Our installation team worked very effectively, establishing a central hub to administer the large volume of equipment deliveries and also liaising well with the beer tanker crew, which had been arranged to deliver beer direct to taps, removing the needs for kegs (useful in an high throughput environment where keg changeover can lead to significant delays and revenue loss). Whilst the team on site worked tirelessly, Innserve’s involvement began several weeks earlier, with Innserve maintaining constant contact with Heineken and the on-site caterers to ensure there was as much clarity as possible regarding on-site requirements. This allowed Innserve’s Operations, Engineering and Supply Chain teams to liaise with each other to book resource, transportation, plant hire and arrange equipment collation – each element crucial to ensuring success on the day. “After the event we were praised by the caterers who were thrilled how the event went and were more than happy with the service we provided. I am delighted to say that the installation & stand-by all went according to plan which is a testament to the hard work and skills of the technicians who were on site”.